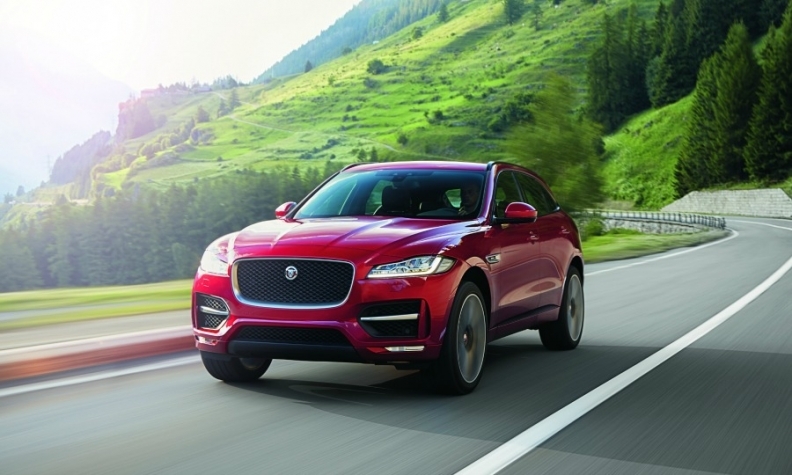 The Jaguar F-Pace helped JLR to record vehicle sales. MUMBAI -- Jaguar Land Rover's profit margin improved in its latest quarter on strong demand for SUVs in major markets including China and the U.S.
JLR's earnings before interest, tax, depreciation and amortization margin widened to 14.5 percent in the three months ended March, from 9.3 percent in the previous quarter, according to the company's stock exchange filing Tuesday. That helped boost JLR profit by 18 percent to 557 million pounds ($722.5 million). Jaguar is benefiting from investments made by parent Tata Motors and a fully overhauled product-line. JLR's results failed to stem a profit decline at Tata Motors. Net income fell 17 percent to 42.96 billion rupees ($662 million) in the quarter. JLR deliveries increased 13 percent in the quarter on strong demand across the product portfolio led by sales of Jaguar F-Pace, Range Rover and Land Rover Discovery Sport models, the company said. Full-year JLR deliveries rose 16 percent rise to a record 604,009 vehicles. Registrations in China were up 32 percent, while in North America demand grew 24 percent. In Europe, sales rose 13 percent, JLR said in a statement. Land Rover sales increased 5 percent to 431,161, while Jaguar's sales were up 83 percent to 172,848. The company reported a full-year pre-tax profit of 1.6 billion pounds, up 3 percent, on revenue up 9 percent to 24.3 billion pounds. In the 2017-18 financial year, the company plans to invest more than 4 billion pounds on expanding its product portfolio and its manufacturing capacity and on research and development.